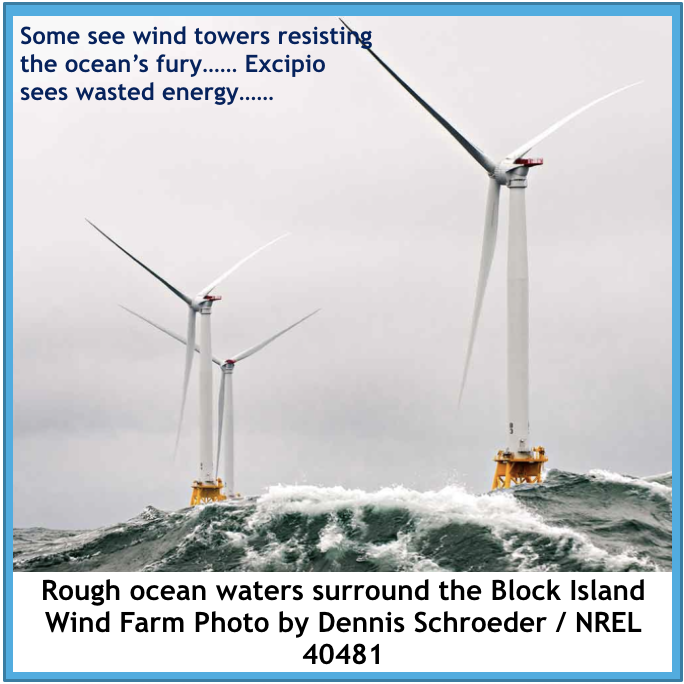 Offshore Wind is the prevalent offshore renewable energy source. Investment cost of offshore wind systems increases with water depth due to structures and/or moorings. Ocean Thermal Energy Conversion (OTEC) uses the temperature differential between the surface water and the seabed to drive a large heat engine, requires temperature difference of ~20oC to run efficiently. Marine Hydro-Kinetic (MHK) devices span energy converter systems involving waves and subsea flow. Tidal energy converters, a type of Flow Energy Converter (FEC), are cyclic in operation, accommodating reversing flow and are typically located in areas of high tidal activity where peak current speeds are in excess of 3 knots (1.6 m/s). Steady Offshore Current energy converters are generally applied in areas of persistent current where velocity and direction changes are not cyclic; a classic example is the Gulf Stream. These are another type of FEC. Run of the River systems, which are the last type of FEC, as the name implies are turbines placed in a flowing river. Debris and seasonal variations are their main concerns. 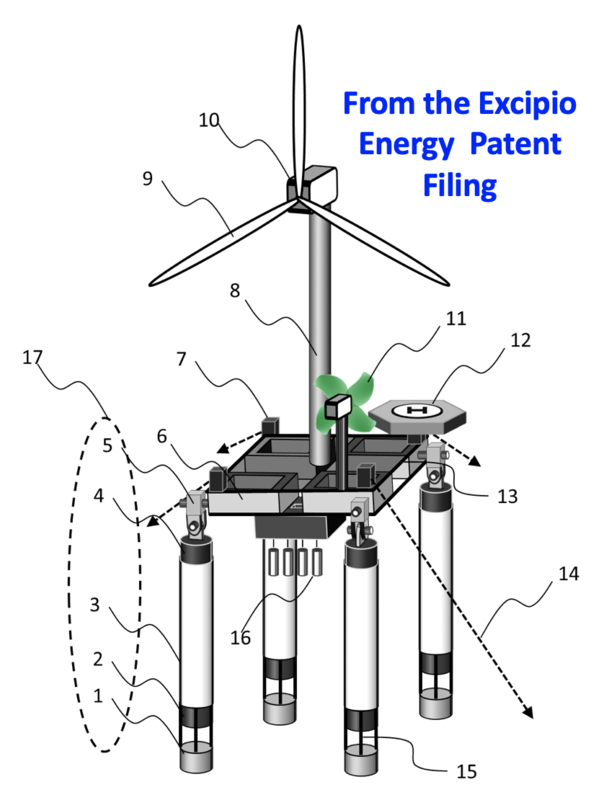 Excipio’s patent centers around each spar leg being a wave and flow energy capture device in addition to supporting the wind tower. 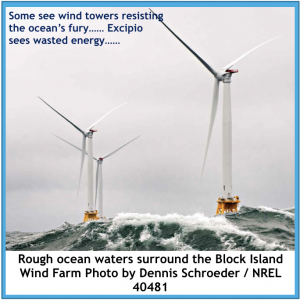 Offshore renewable technologies other than wind are not cost effective in deeper waters (yet). 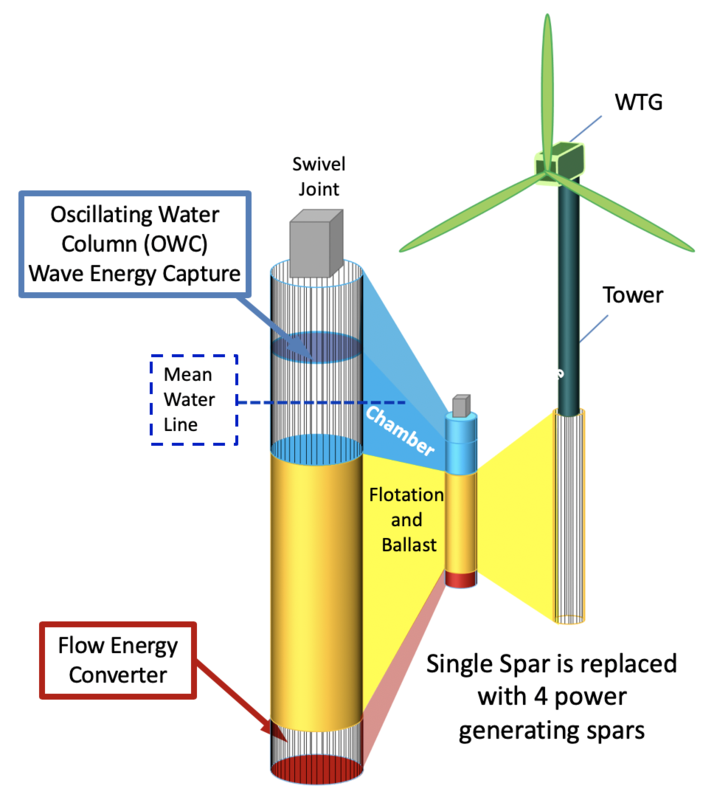 Neither wave, ocean currents, nor OTEC systems are efficient enough at present to support the cost of mooring, installation, and power transmission.However by increasing the size of a spar leg these technologies can be added at a small incremental cost. 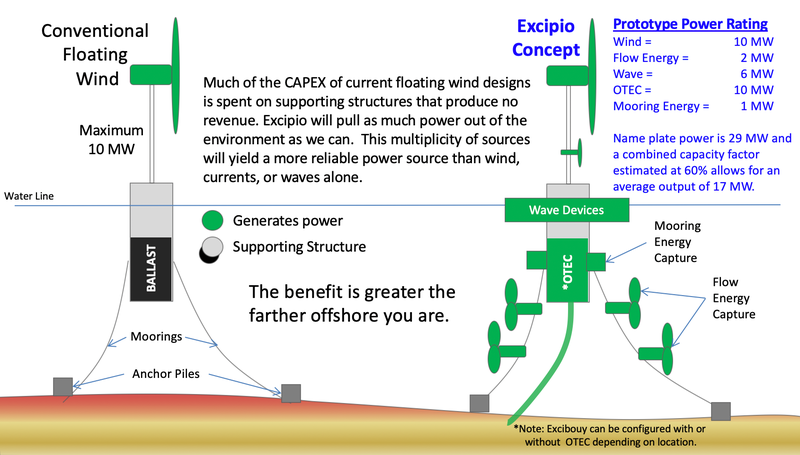 As an example this will reduce the LCOE of existing wave energy devices from $600+/MWh to ~$75/MWh. The design allows fabrication, integration and pre-commissioning in harbors with 12m or more of draft. Once at sea the spar legs are deployed. Hull designs of this type have been proven by test tank modeling. 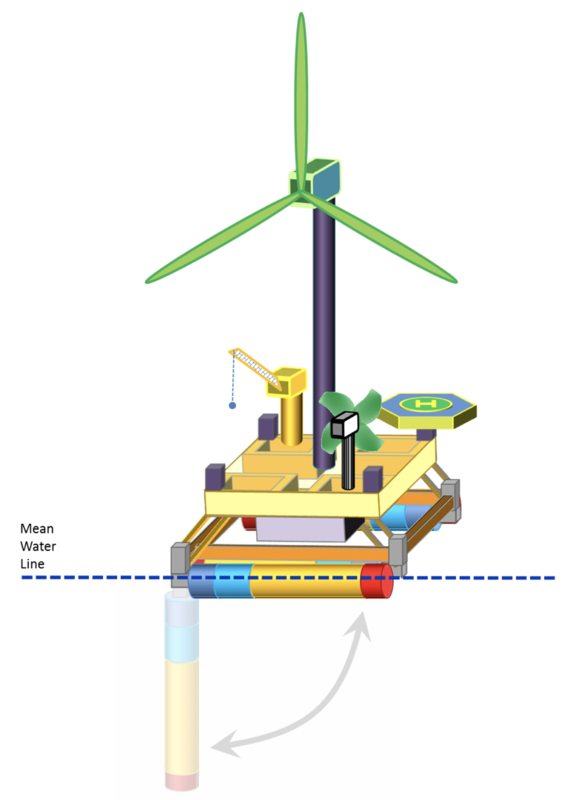 Based on those tests the platform itself will be more stable than a conventional spar, with angles of deflection of the turbine reduced 50% for the same sea state. Unlike a single spar, Excibuoy has deck space that can support other renewable technologies. Excipio is targeting the Gulf of Mexico for the following reasons although Excipio will pursue any opportunity regardless of its geographic location. 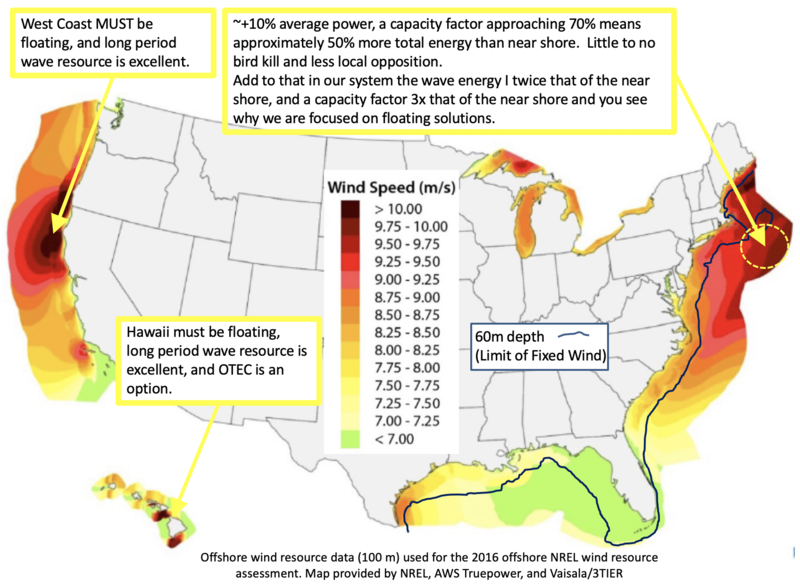 While the waters of Gulf of Mexico are considered a low energy environment compared to some locations, the Gulf is one of the better areas for offshore wind, and the temperature profiles fit OTEC requirements. The capital cost of any offshore development is highly dependent on the harshness of the environment. The high-energy locations (big waves, fast currents) favored by many companies would be challenging economically even for a mature and profitable industry like oil and gas. Many of the locations with high potential are environmentally sensitive, with local communities wary of any type of offshore development. The western Gulf Coast is not only friendly to offshore development but their local economies depend on it. There are 2000+ offshore platforms in the Gulf which can be repurposed as renewable hubs. There are tens of commercially viable contingent O&G discoveries in the Gulf of Mexico that could benefit from locally produced power. The cost of offshore construction in the Gulf of Mexico is a fraction of the cost on the US west or east coast.